Garfield’s has released their Fall & Winter menu and they’re filling it with a bunch of comfort food dishes to get you feeling all warm and fuzzy inside. Totchos from Garfield’s in Colchester, Ontario. 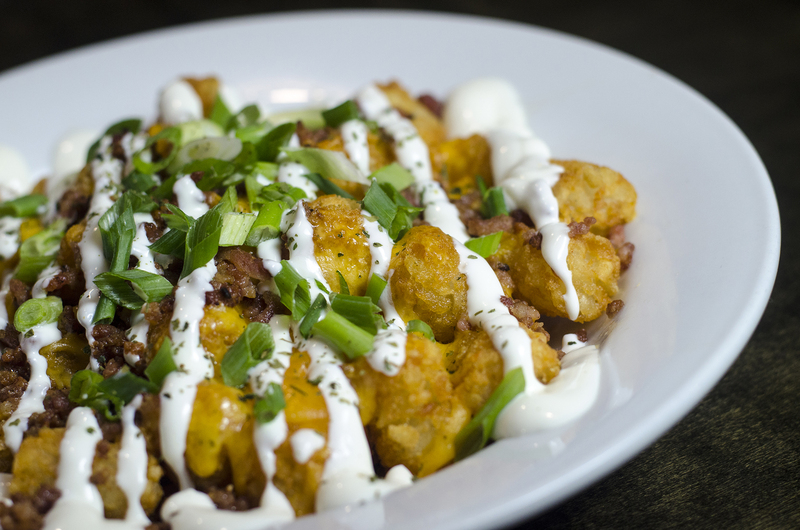 Chef Chelsae combined two comfort foods into one with her totchos, replacing the nachos with tater tots. Throw in some cheddar, bacon, green onions and sour cream and your tummy will be happy. The Fried Bologna from Garfield’s in Colchester, Ontario. Be flashed back all the way to your childhood with this Fried Bologna sandwich. This isn’t your regular school lunch sandwich, though. 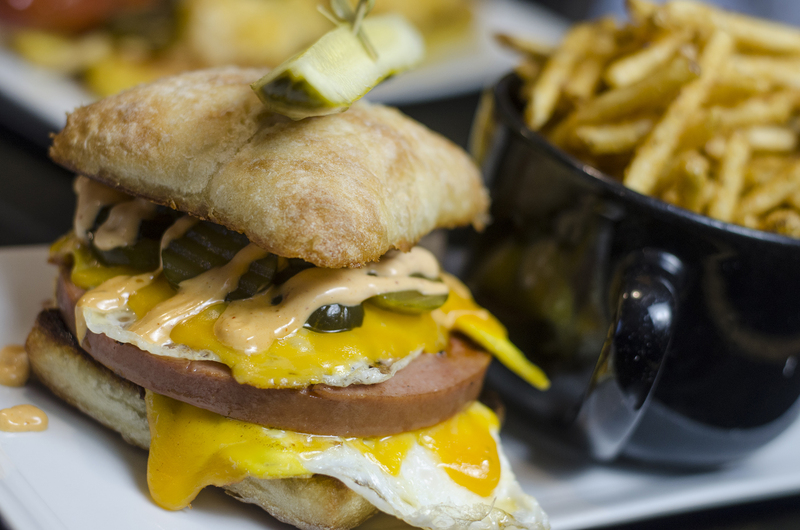 Thick cut fried bologna is stacked with a fried egg, bread & butter pickles, cheddar and chipotle aioli on a ciabatta bun. The Jalapeno Mac dog from Garfield’s in Colchester, Ontario. As part of their new menu, Garfield’s has a section of foot long dogs that we drooled over. 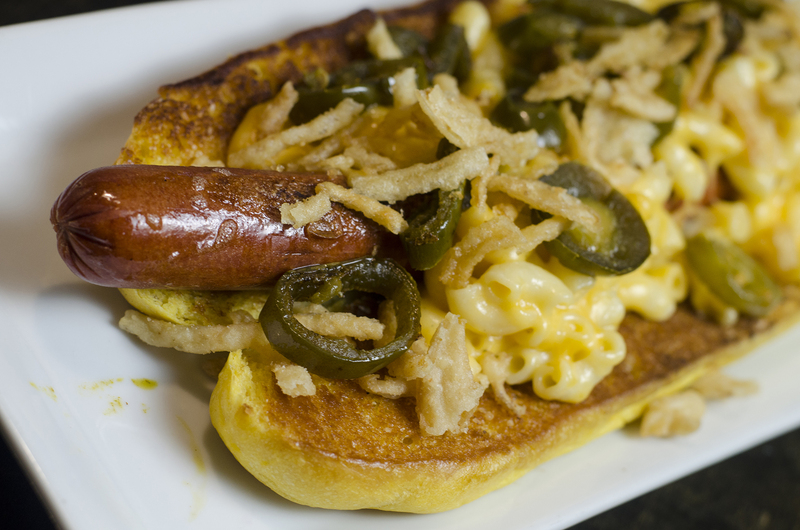 While it was tough to choose one, the Jalapeno Mac dog has mac and cheese one it, so…..winner! The all-beef footlong is buried in a mound of mac and cheese before being finished with jalapenos and crispy fried onions.